Fermilab’s plans for creating a Muon Campus with top-notch Intensity Frontier experiments have received a big boost. 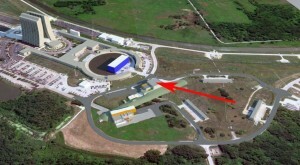 The Department of Energy has granted Mission Need approval to the Muon g-2 project, one of two experiments proposed for the new Muon Campus. The other proposed experiment, Mu2e, is a step ahead and already received the next level of DOE approval, known as Critical Decision 1. Since the publication of the final Brookhaven results in 2004, scientists have worked diligently to refine theoretical predictions and devise an experiment that will yield a more precise measurement. Experimenters turned to Fermilab, which is the only laboratory in the world that currently has the capability to make high-intensity muon beams that meet the experiment’s requirements. To prepare for the Muon g-2 experiment, a group of scientists led by Mary Convery of Fermilab’s Muon Department already tested the production and capture of muons with Fermilab’s former Antiproton Source earlier this year. 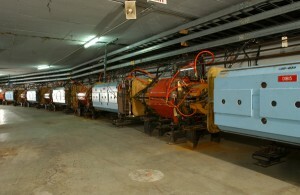 They slammed protons from the Main Injector into a target to create sprays of secondary particles, including muons. Another group of scientists is advancing plans for the state-of-the-art particle detectors that are necessary to measure the muon magnetic moment. In June, DOE recognized Fermilab’s Brendan Casey with an award to support parts of those R&D efforts.